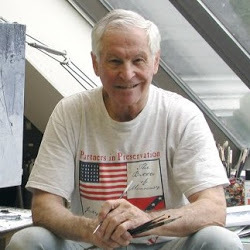 The Official Mort Künstler Blog: Is with great sadness we share the news of the passing of our dear friend Ted Sutphen. Is with great sadness we share the news of the passing of our dear friend Ted Sutphen. Edwin (Ted) Lawrence Sutphen, age 77, of Navarre, Fla., passed away Tuesday, July 28, 2009. 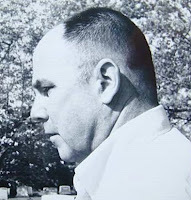 Born in 1932 in Neptune, N.J. and raised in Freehold, N.J. Edwin worked with his father and eventually became owner of the family road contracting business; C.H. Sutphen Inc. Edwin met the love of his life, Mary, in 1954 and they were wed June 22, 1957. They spent 52 years working side by side in business and in everyday life, with many adventures, including living in Grafton, Vt., and opening an antique shop and art gallery, which led to the move to Gettysburg in 1980, where Ted became the leading pioneer in establishing Civil War Limited Edition Prints, and was the finest sought after publisher of Civil War art. The American Print Gallery was owned and operated by Ted and Mary for over 20 years. Retiring from the publishing field and moving to Navarre, Fla., several years ago, Ted was able to enjoy a slower paced life with his family, as well as sitting in his favorite room overlooking the bayou, watching the wildlife, listening to his favorite music from the ‘40s and enjoying each sunset. He was preceded in death by his mother and father, Cort and Hannah (Good) Sutphen; his sister, Jane Sutphen; and his son, Kenneth Lawrence Sutphen. He is survived by his loving wife of 52 years, Mary I. Griffin; his daughter, Susan C. McKinnon; son-in-law, Timothy S. McKinnon; and his grandson, Spc. Aren Jakob Selmer, serving in the U.S. Army with the 82nd Airborne. The funeral will be a private affair with no viewing. In lieu of flowers, please make donations to the First United Methodist Church of Freehold, 91 W. Main St., Freehold, N.J. 07728.